Glucose-6-phosphate dehydrogenase (G6PD) deficiency is a genetic disorder that is most common in males. About 1 in 10 African American males in the United States has it. Glucose-6-phosphate dehydrogenase (G6PD) deficiency is a genetic disorder that is most common in males. About 1 in 10 African American males in the United States has it. 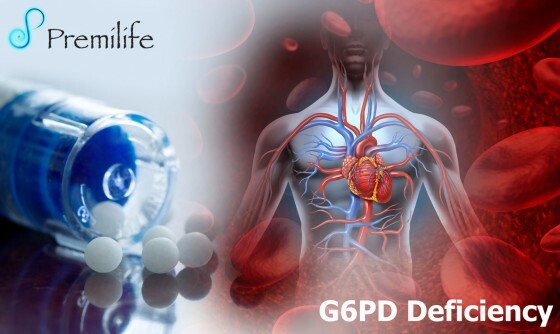 G6PD deficiency mainly affects red blood cells, which carry oxygen from the lungs to tissues throughout the body. The most common medical problem it can cause is hemolytic anemia. That happens when red blood cells are destroyed faster than the body can replace them. A blood test can tell if you have it. Treatments include medicines to treat infection, avoiding substances that cause the problem with red blood cells, and sometimes transfusions. This entry was posted in Cardiovascular System, Immune System. Bookmark the permalink.